The cyclic shift graph of a monoid is the graph whose vertices are elements of the monoid and whose edges link elements that differ by a cyclic shift. 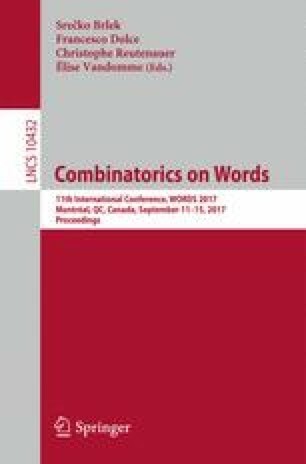 For certain monoids connected with combinatorics, such as the plactic monoid (the monoid of Young tableaux) and the sylvester monoid (the monoid of binary search trees), connected components consist of elements that have the same evaluation (that is, contain the same number of each generating symbol). This paper discusses new results on the diameters of connected components of the cyclic shift graphs of the finite-rank analogues of these monoids, showing that the maximum diameter of a connected component is dependent only on the rank. The proof techniques are explained in the case of the sylvester monoid. A.J. Cain—The first author was supported by an Investigador FCT fellowship (IF/01622/2013/CP1161/CT0001). Both authors—This work was partially supported by the Fundação para a Ciência e a Tecnologia (Portuguese Foundation for Science and Technology) through the project UID/MAT/00297/2013 (Centro de Matemática e Aplicações), and the project PTDC/MHC-FIL/2583/2014.